O/o Superintending Engineer, PWD, Dibrugarh. 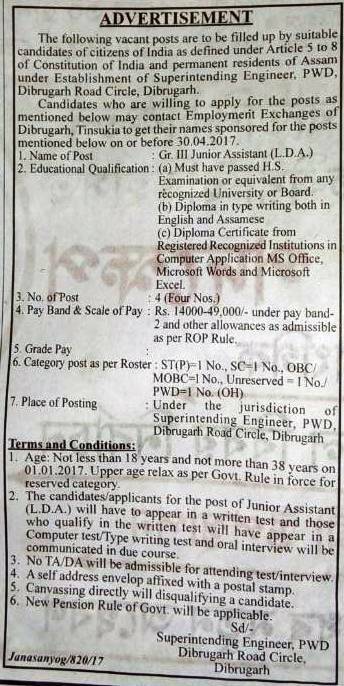 Applications are invited from suitable candidates for filling up of the following posts under the establishment of Superintending Engineer, PWD, Dibrugarh. Selection Process: Written test, Computer Test/ Type Writing Test and Oral interview. How to apply: Pl check Advertisement Details for more info.